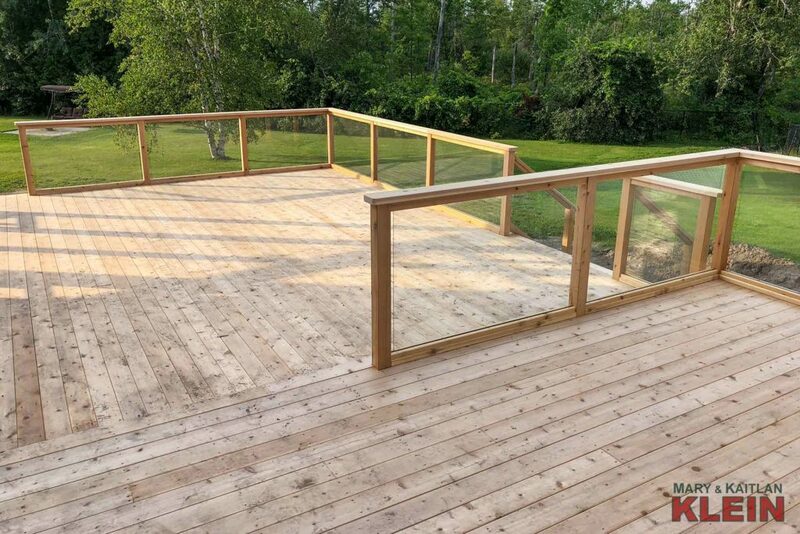 New Cedar Decking 860 Sq.Ft. 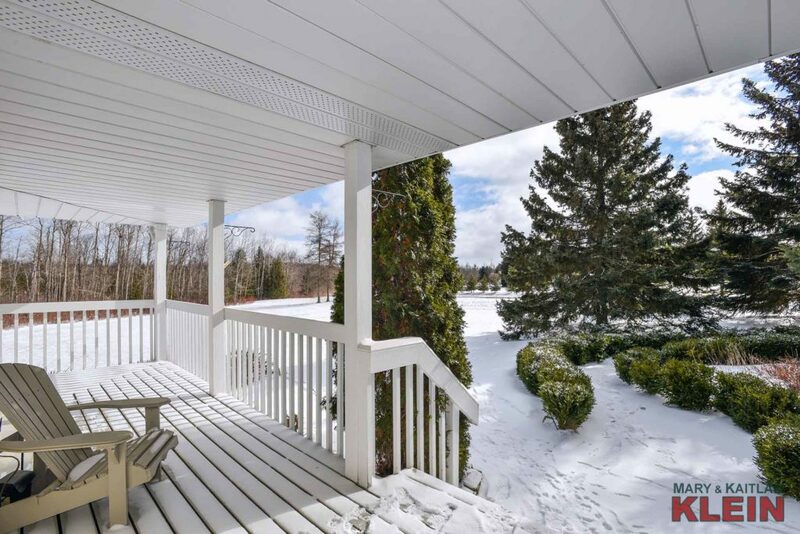 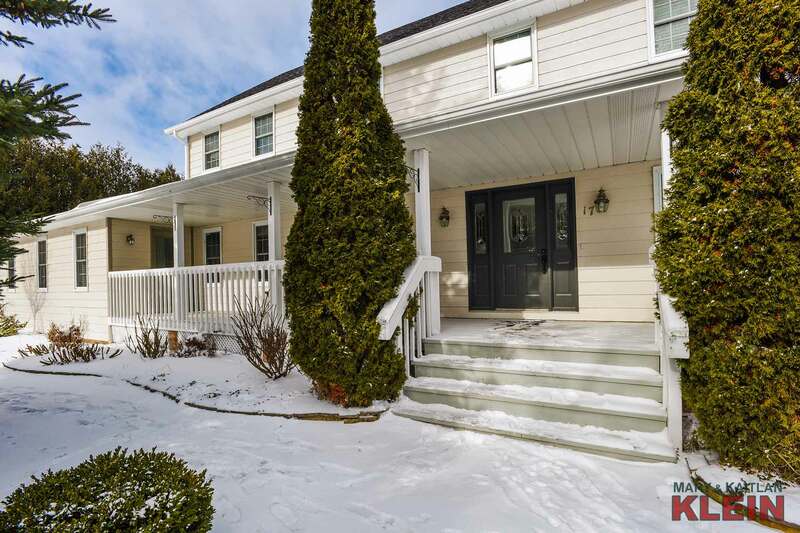 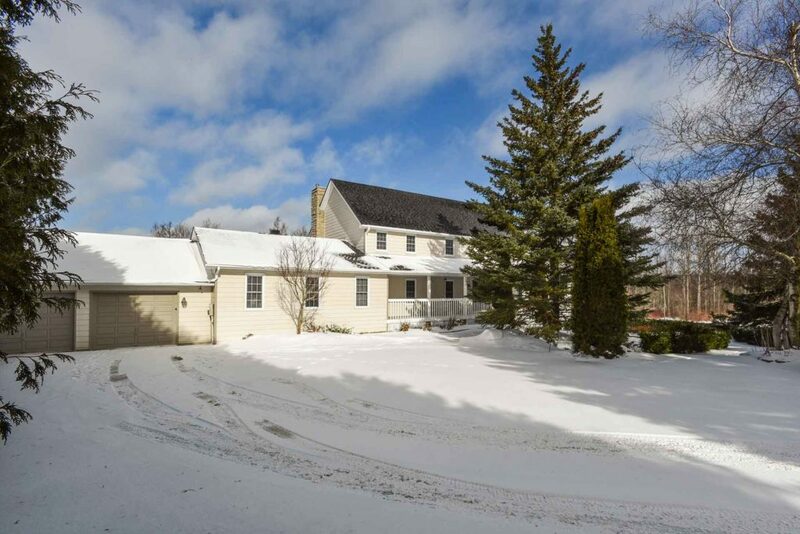 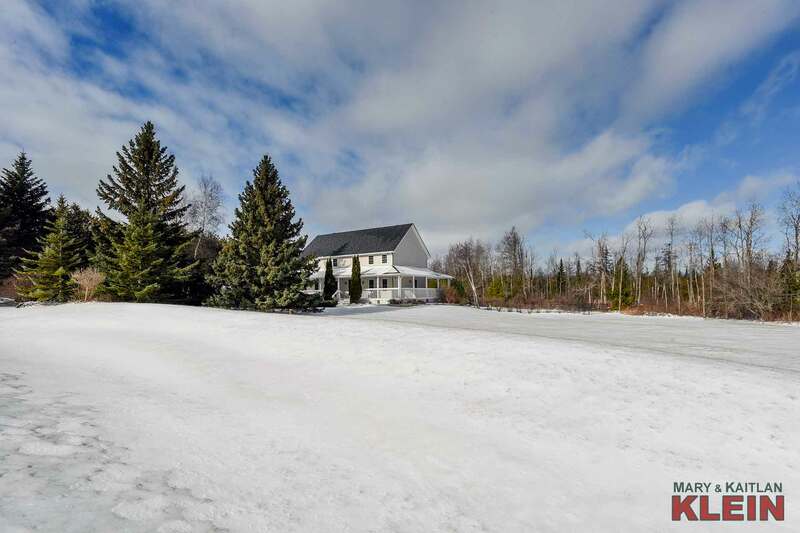 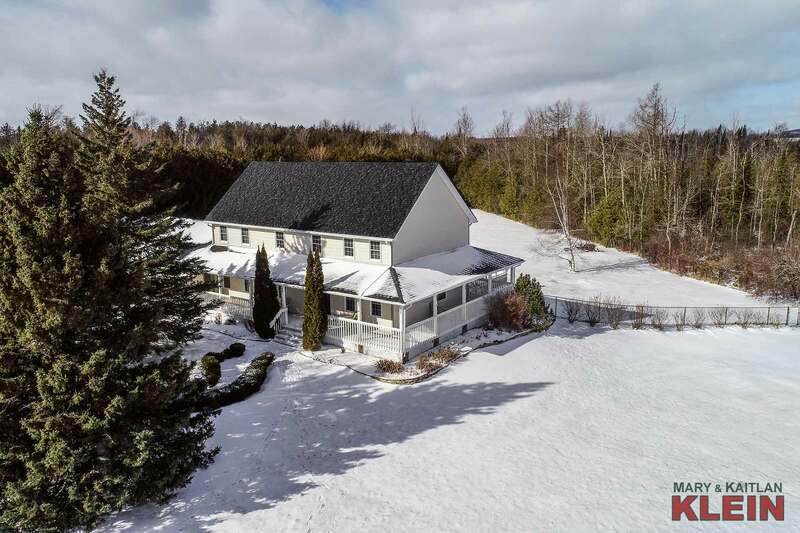 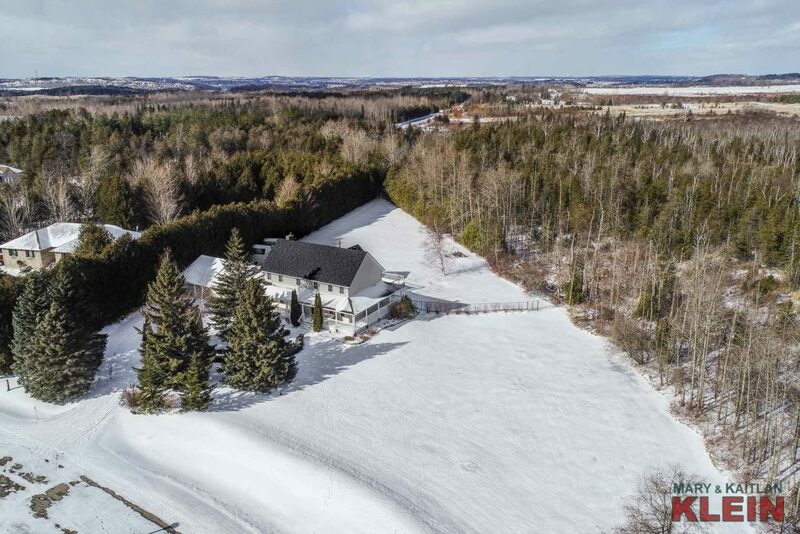 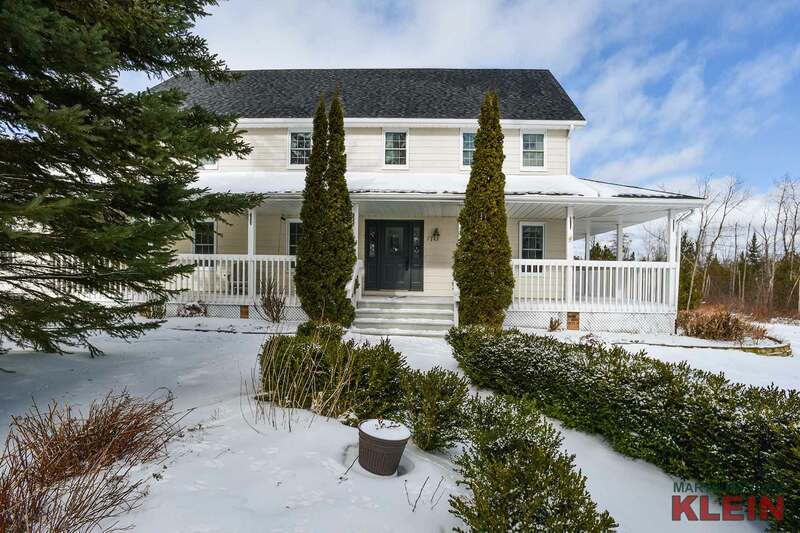 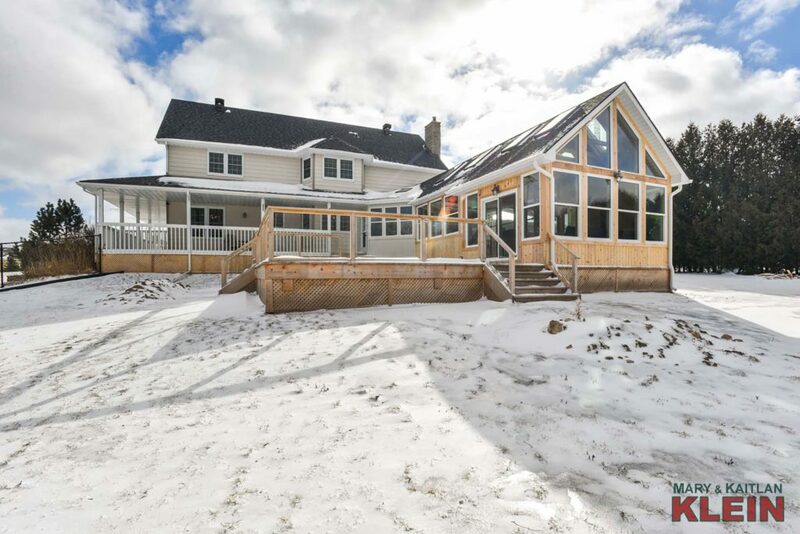 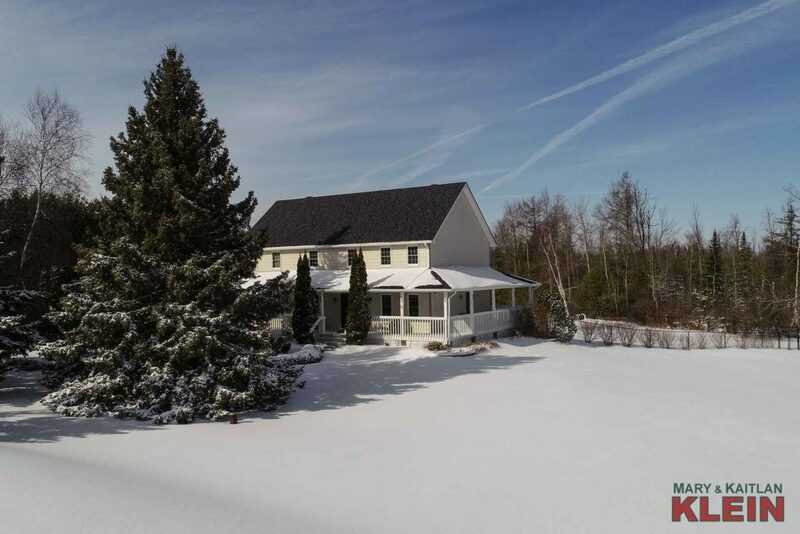 Located on a quiet country crescent on 1.8 private acres backing onto conservation, this 5-bedroom, 3.5 bath, 2 storey home with board and batten exterior has approximately 4000 sq. feet of finished living space and a 2.5 car attached garage. 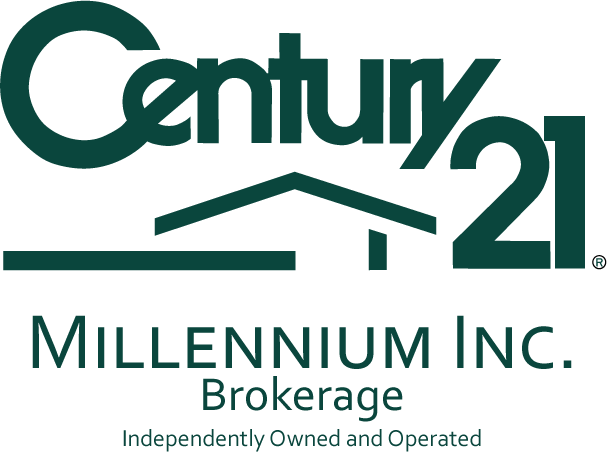 There have been kitchen renovations, new premium roof shingles in 2016, and recent upgrades include a new enclosed 700 sq. 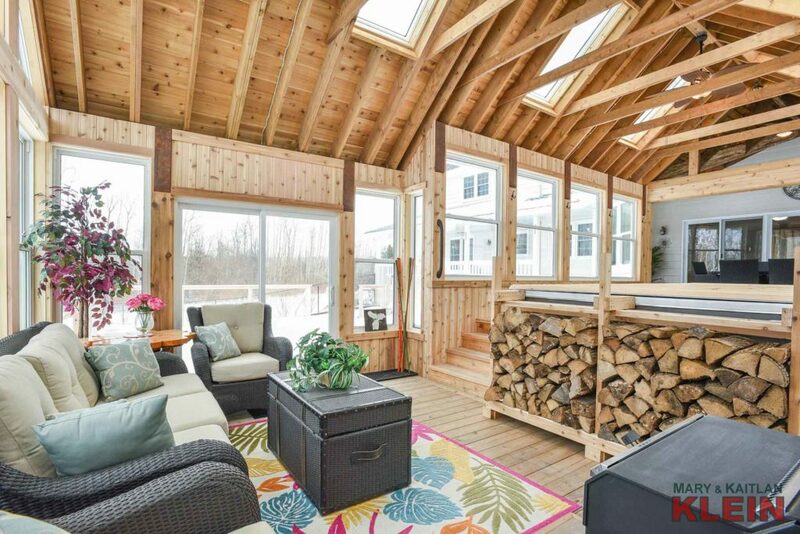 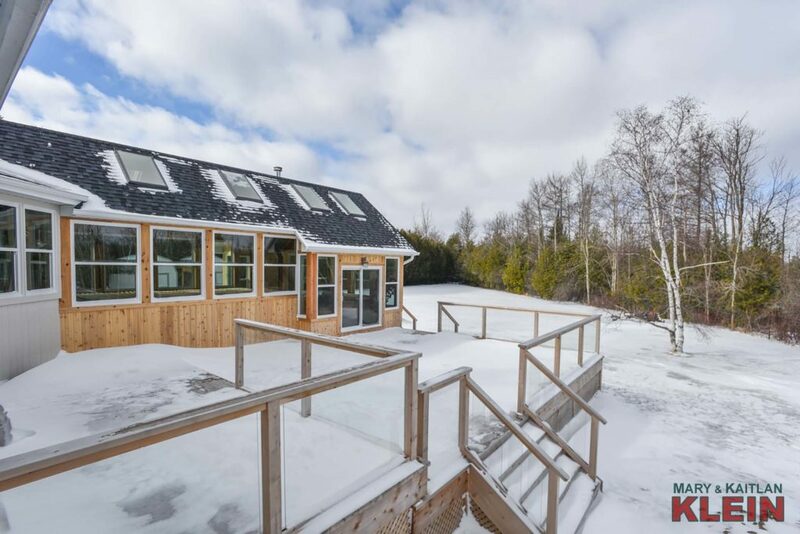 ft. Muskoka Room with woodstove and 16 ft. Hydropool AquaTrainer swim spa plus an 860 sq. 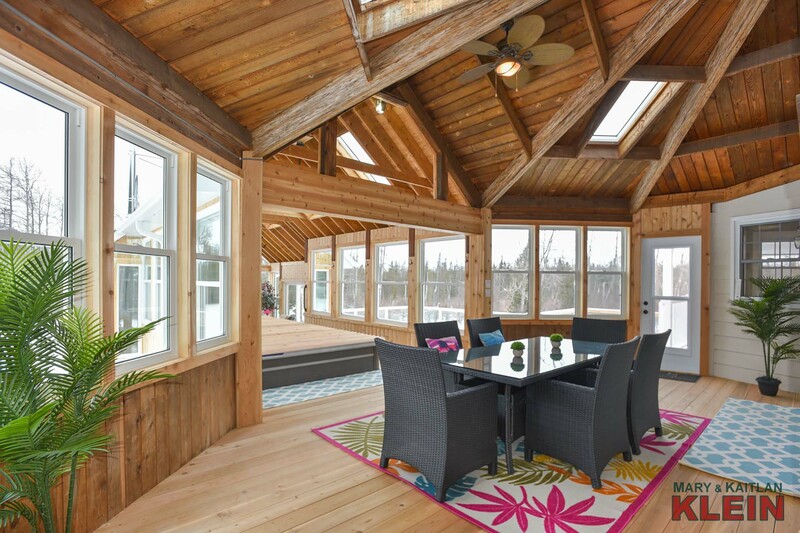 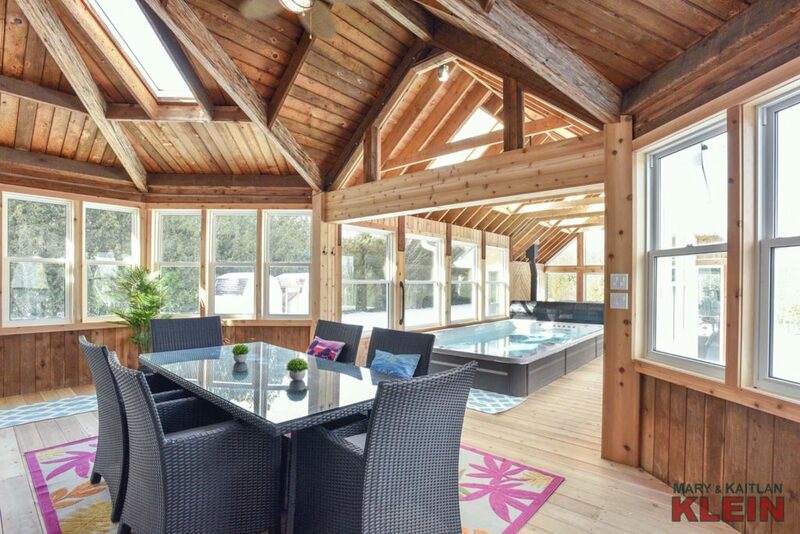 ft. two-level cedar deck with glass railings. The backyard is chain-link fenced, and there are two new 10 x 10 ft. storage sheds with firewood storage in between. 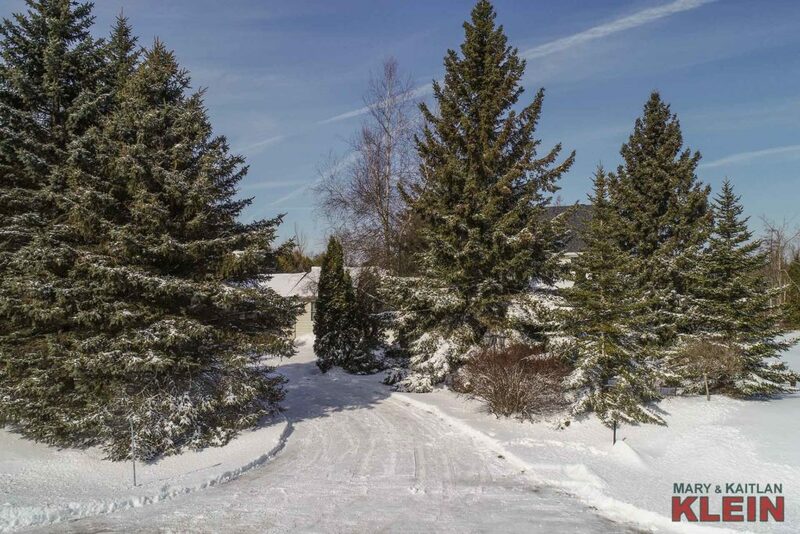 A private drive leads into the property and there is a stone walkway to the wraparound porch and front door. 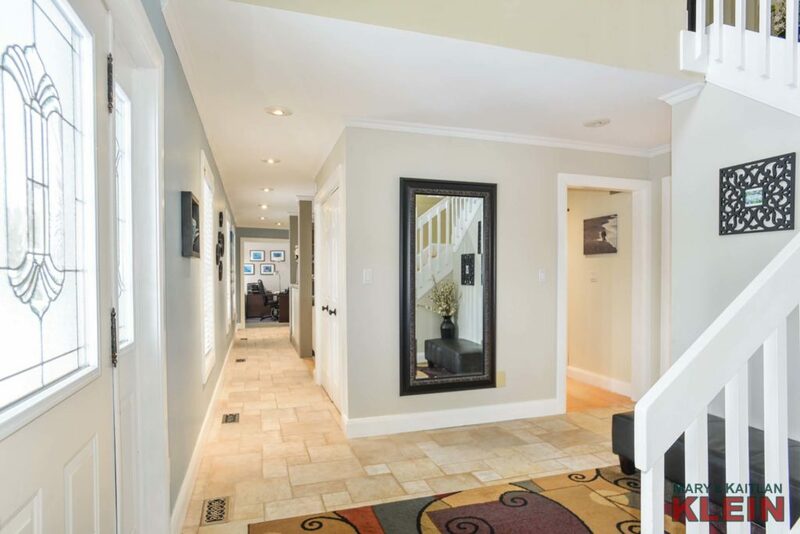 Another separate entry into the home from the porch leads into the main floor Office. 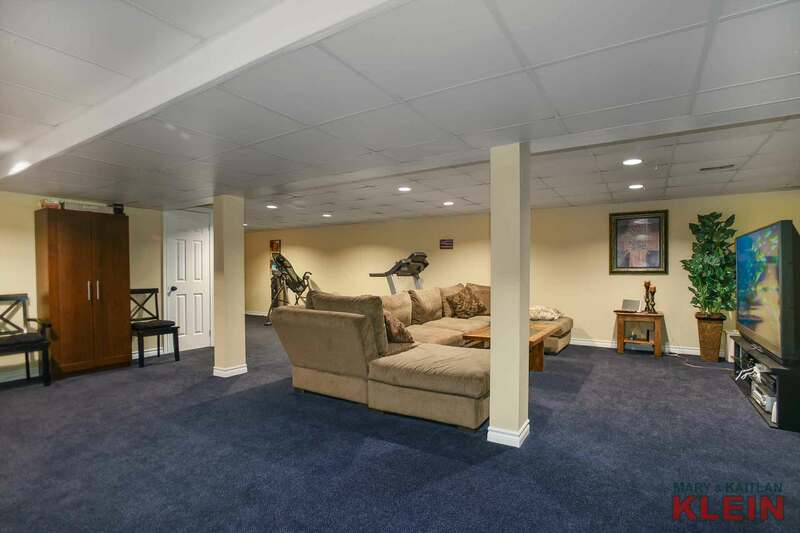 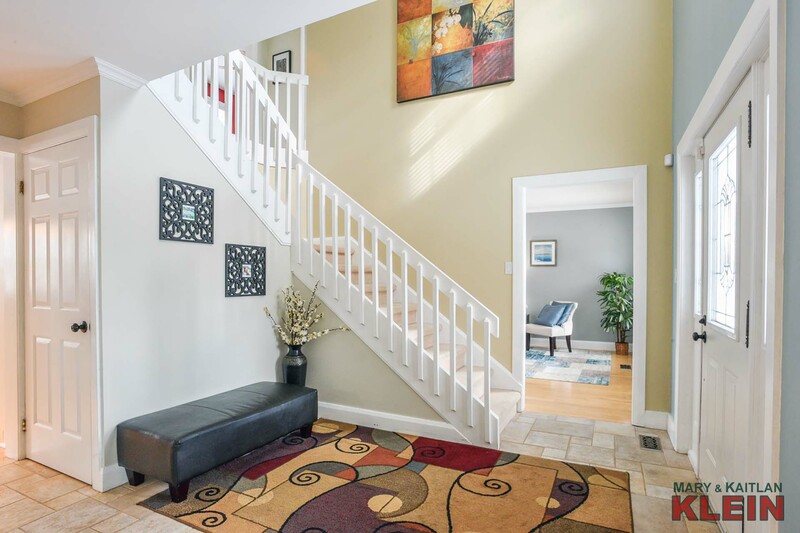 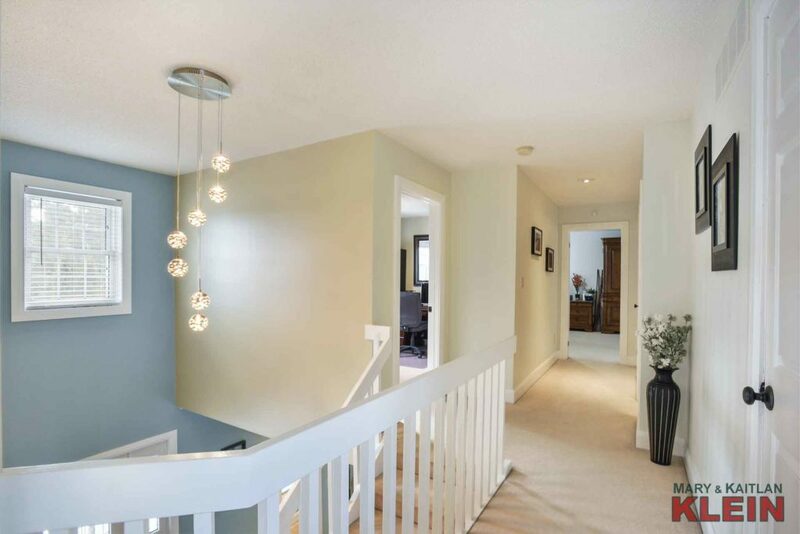 The Foyer has ceramic flooring with guest closet and a staircase to the upper level. 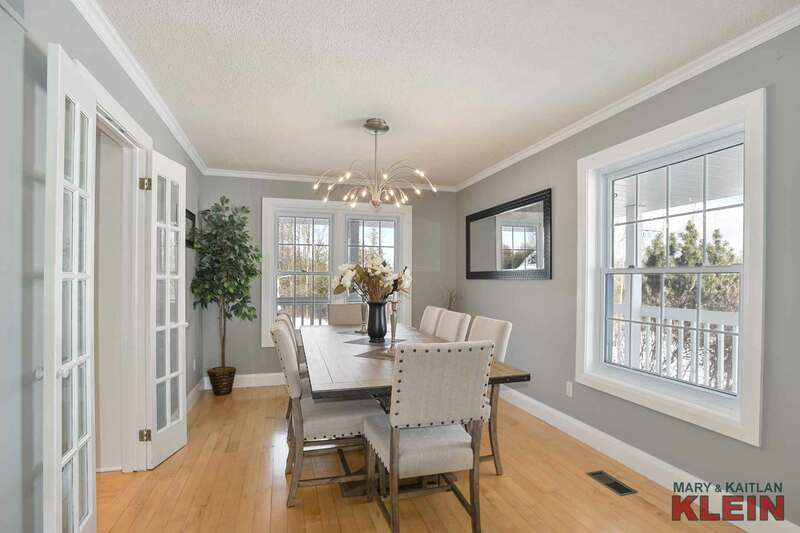 The Living and Dining Rooms are combined and have maple hardwood flooring, crown mouldings and French doors. 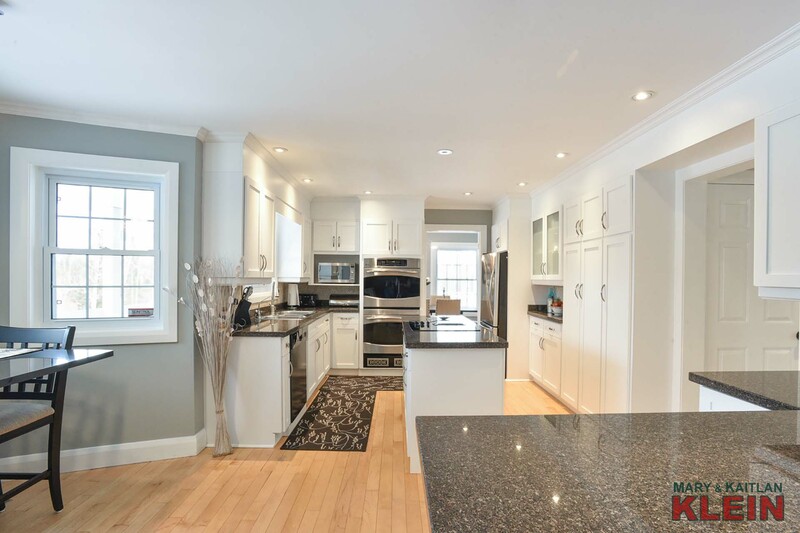 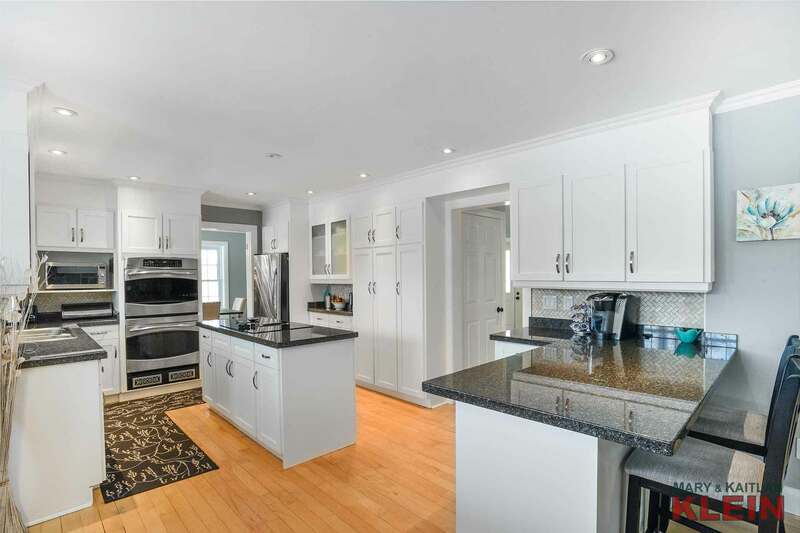 The Kitchen has had upgrades including the stove top in island, a double wall oven, cabinetry in 2016, including a new stationary island with storage and breakfast area for two. 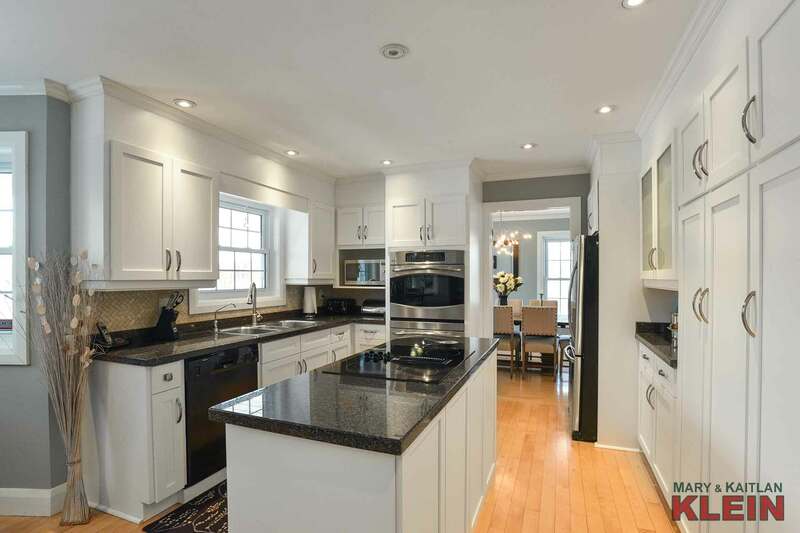 Features include crown mouldings, pot drawers, a breakfast bar at peninsula, granite counters and stainless appliances. 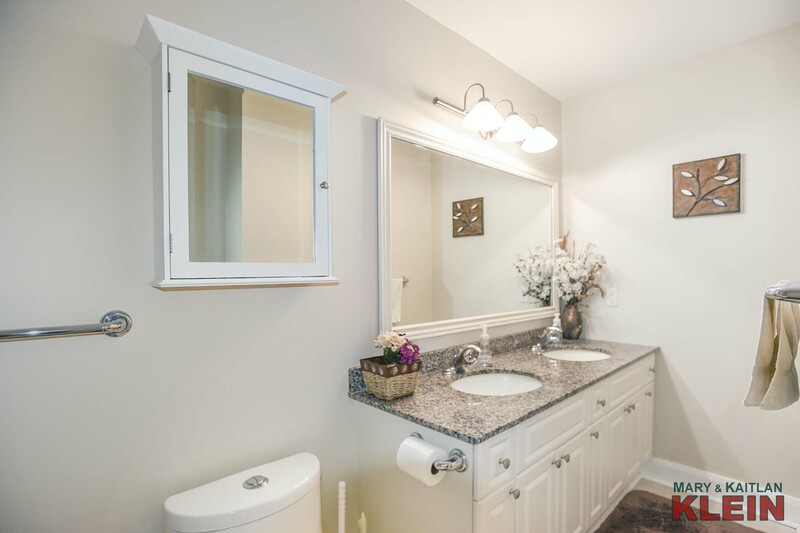 A small enclave houses extra storage and a 2-Piece Powder Room. 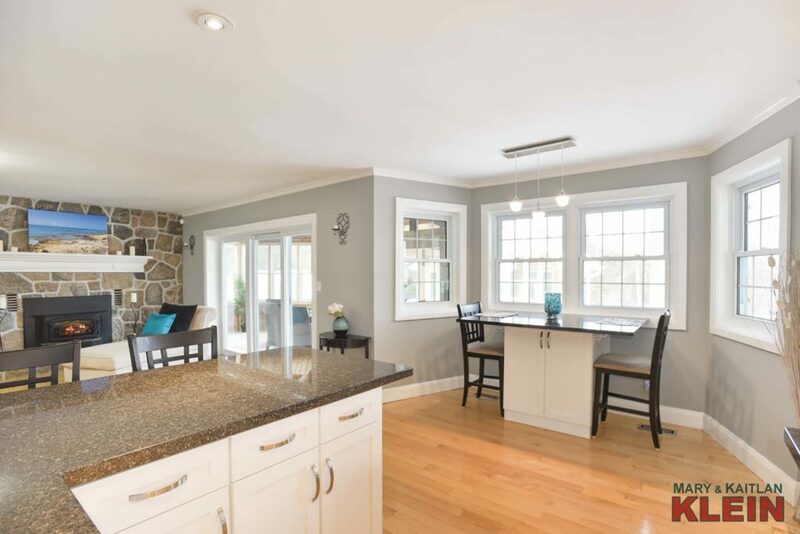 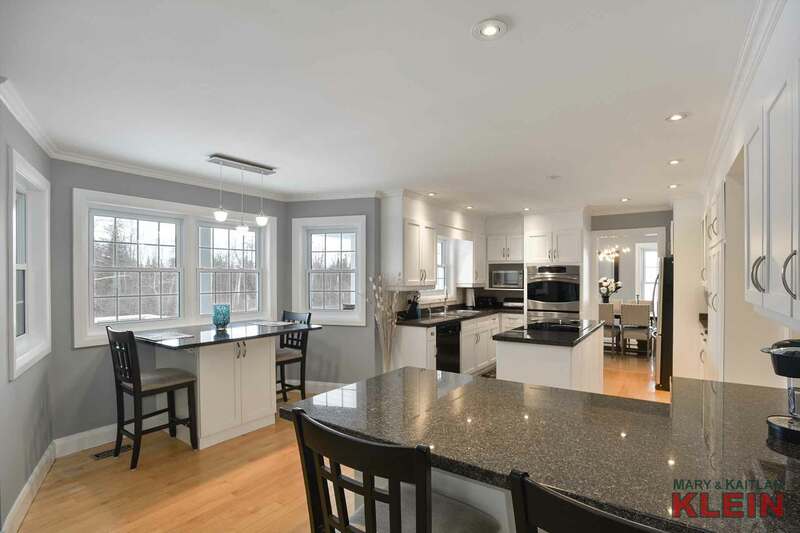 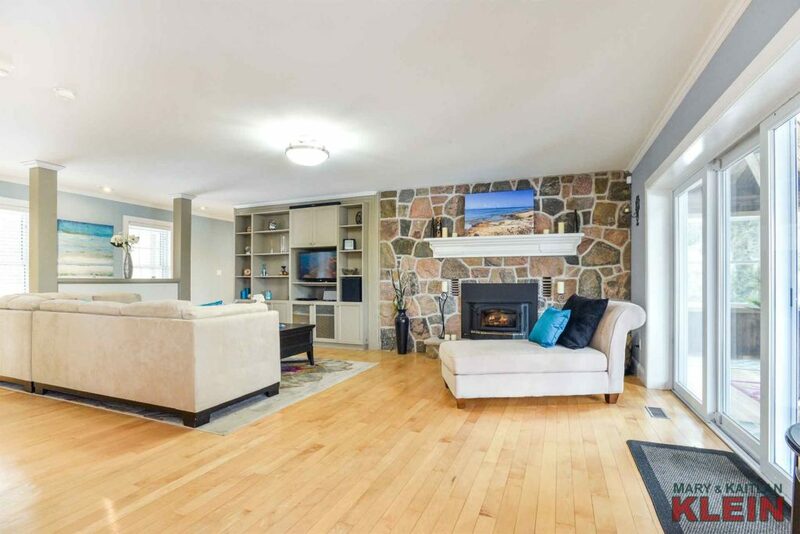 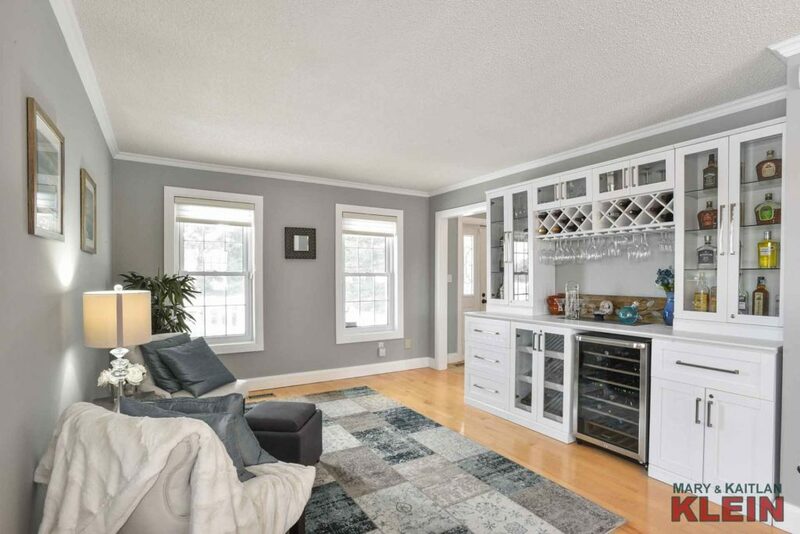 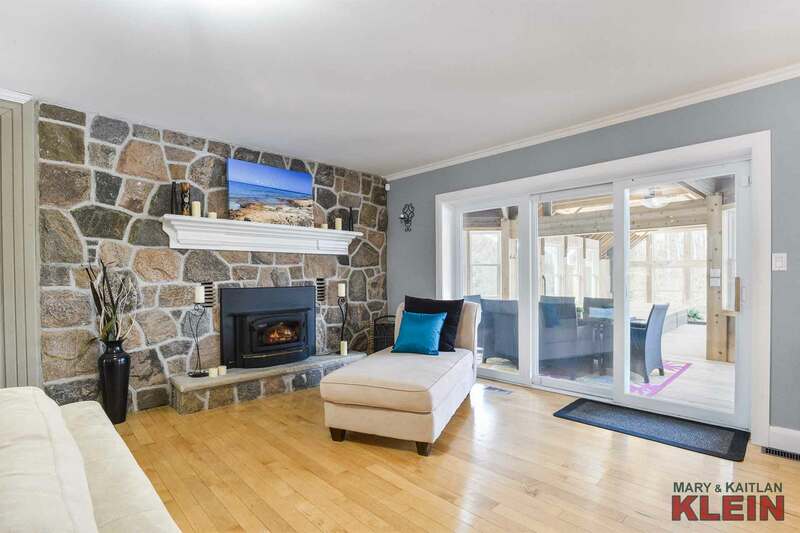 Great for entertaining, the Family Room is open concept with the Kitchen and has maple floors, a custom built-in entertainment centre, and the focal point…a beautiful stone faced wood-burning fireplace insert. 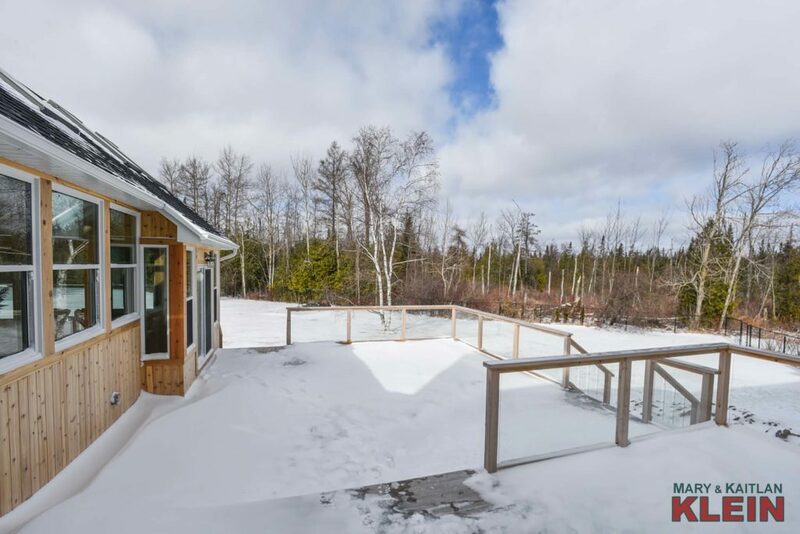 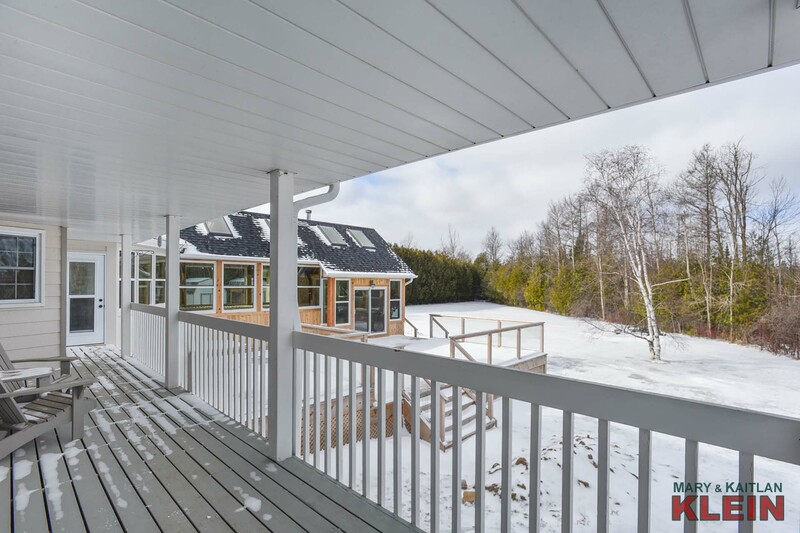 There is a slider door leading into the fabulous new, approximately 700 square foot, Muskoka Room addition with skylights, cedar flooring and an air-tight woodstove with convenient built-in wood storage. 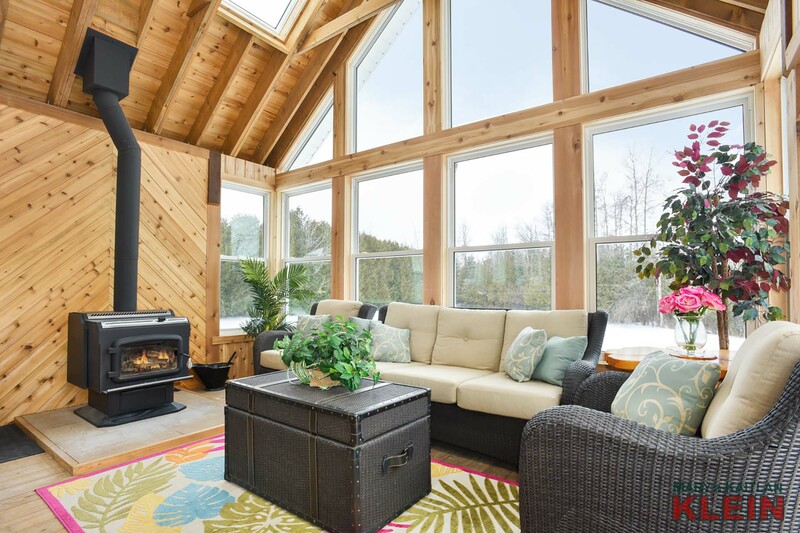 The exterior walls are insulated; the roof and floor are not. 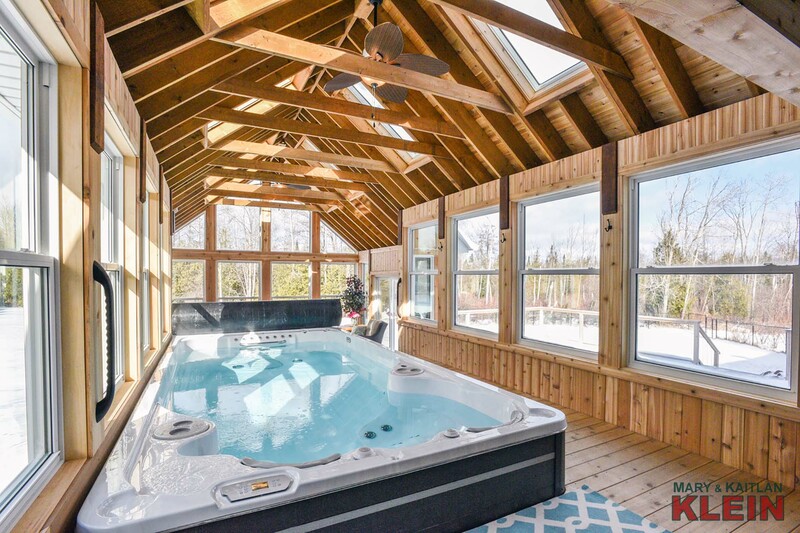 A 16 x 8 ft. Hydropool AquaTrainer swim spa completes the room with a walkout to a new exterior two-level cedar deck with glass railings (approximately 860 sq. ft.). 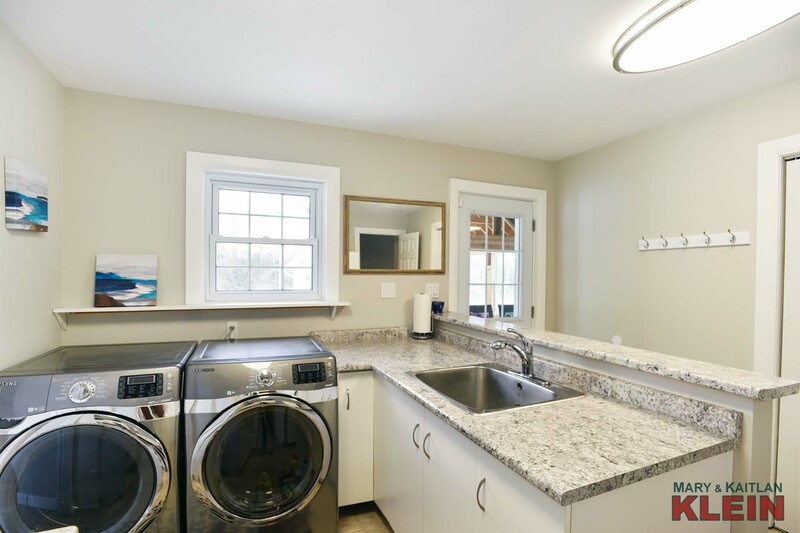 The Muskoka Room is also accessible from the Laundry Room. 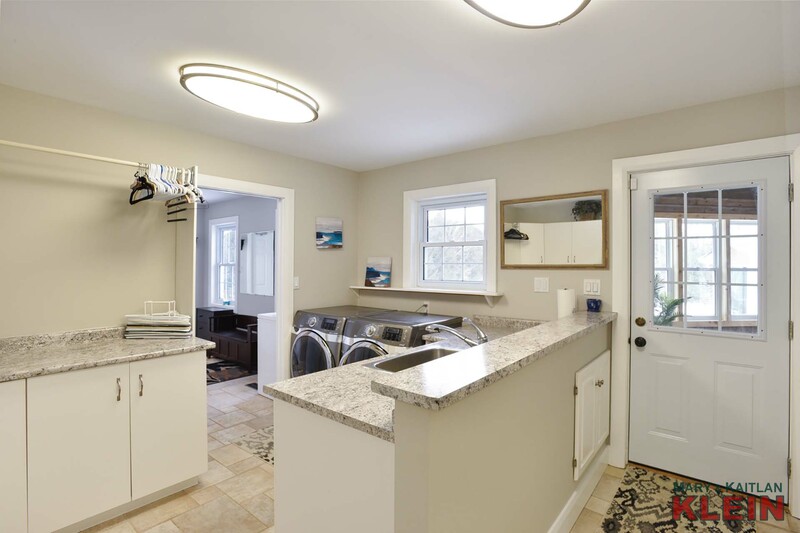 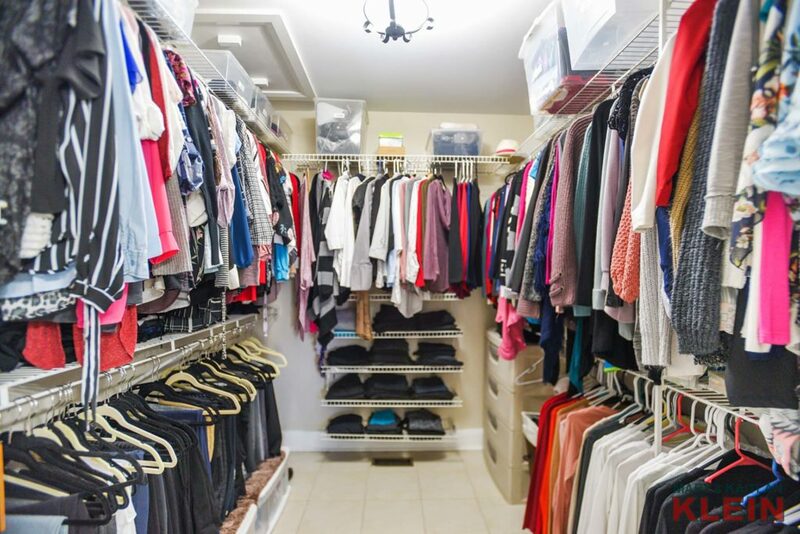 There is a Mud Room Entry from the Garage with double closet storage which leads into the Laundry Room with a second fridge, sink, and generous counter space…a convenient area for laundry folding or prepping food for the barbeque. 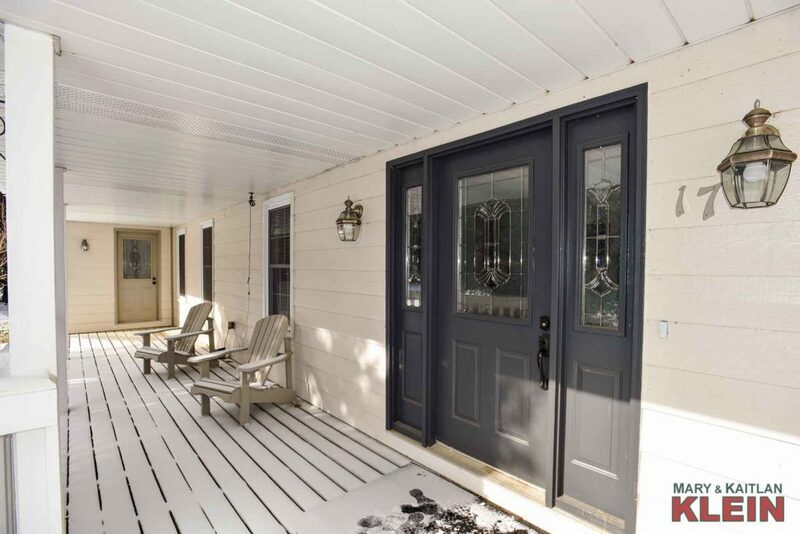 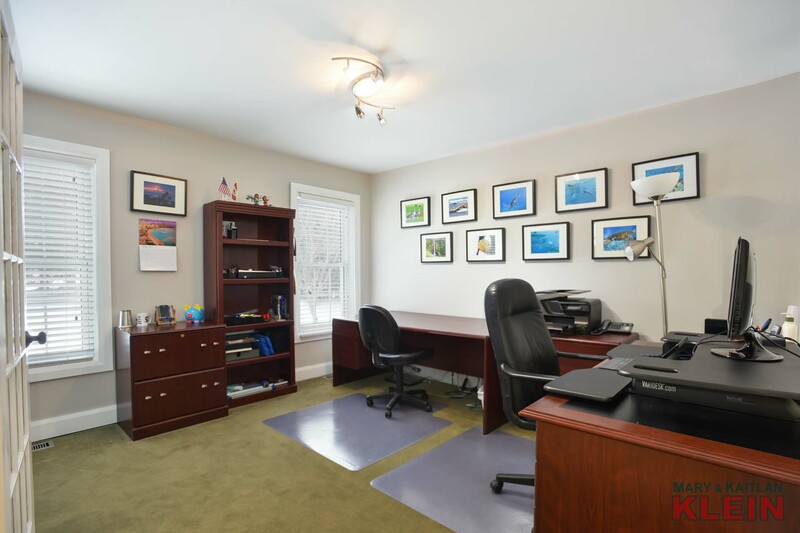 The main floor Office has French door entry, and separate entry from front porch. 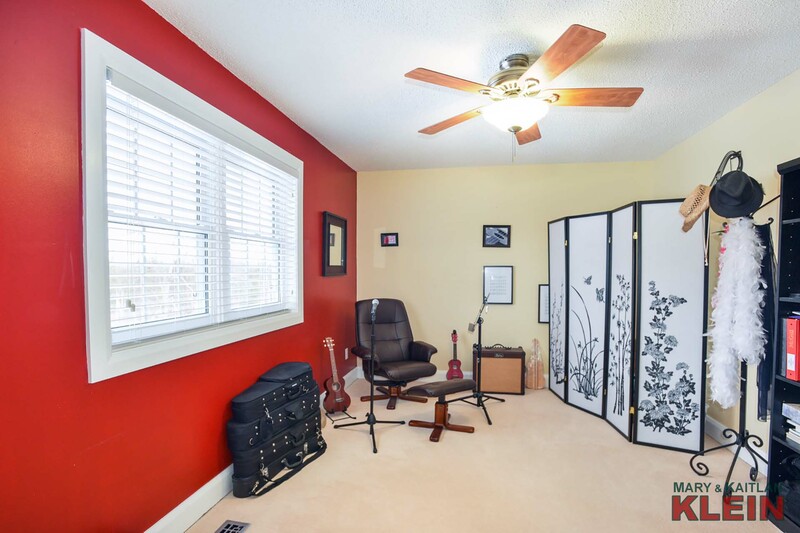 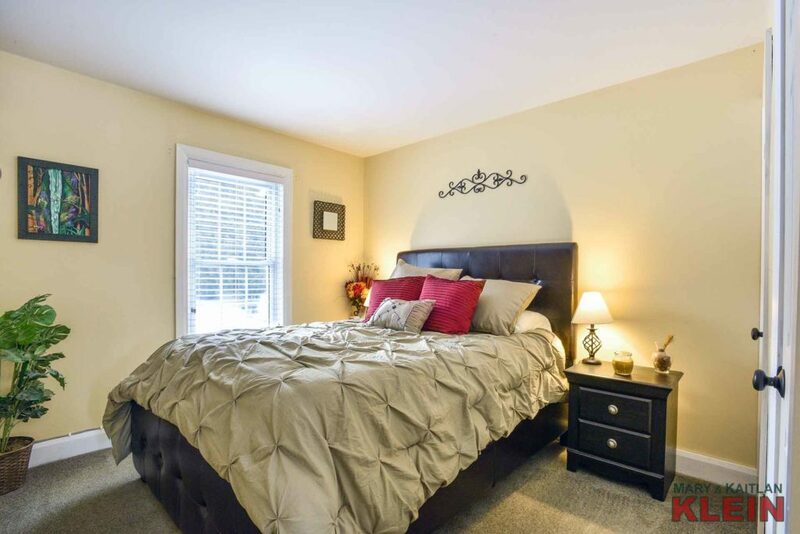 A main floor (5th) Bedroom has a closet and there is a 3-piece Bathroom, an easily adaptable set-up for an in-law situation, or ideal for guests. 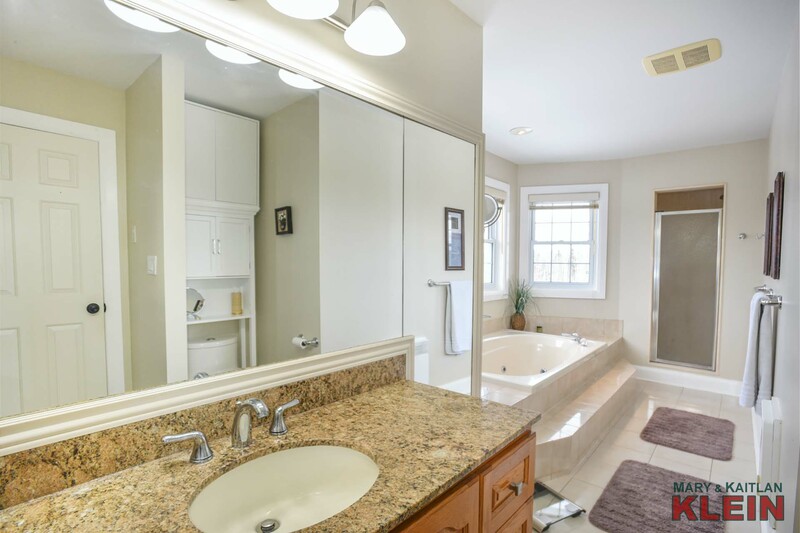 There is quality broadloom upstairs, and the Master has a 4-pc Ensuite with granite counter tops, Jacuzzi tub, separate shower, and a walk-in closet. 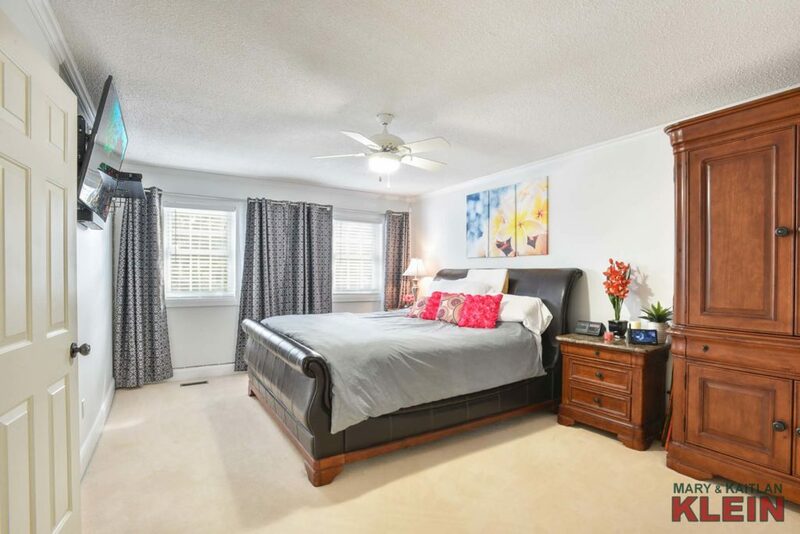 Bedrooms #2, #3, and #4 have double closets, broadloom and a main 5-Piece Bathroom with double sinks and granite countertop. Bring the popcorn down to the Basement! 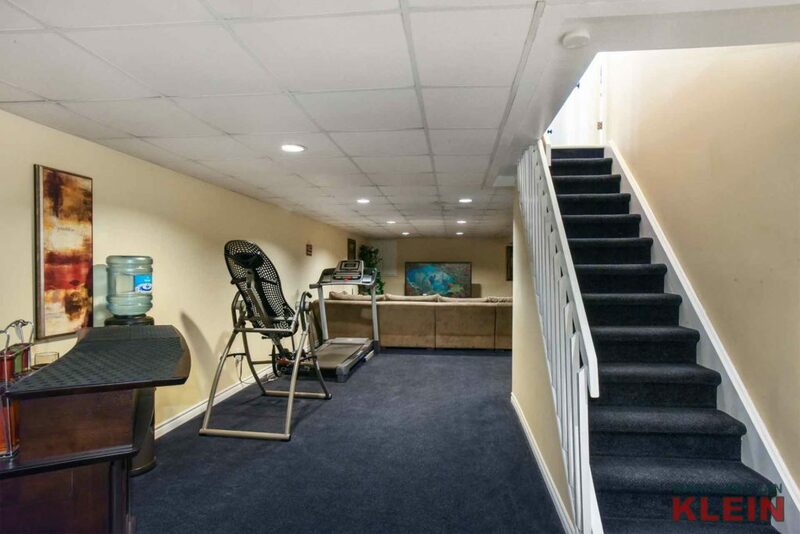 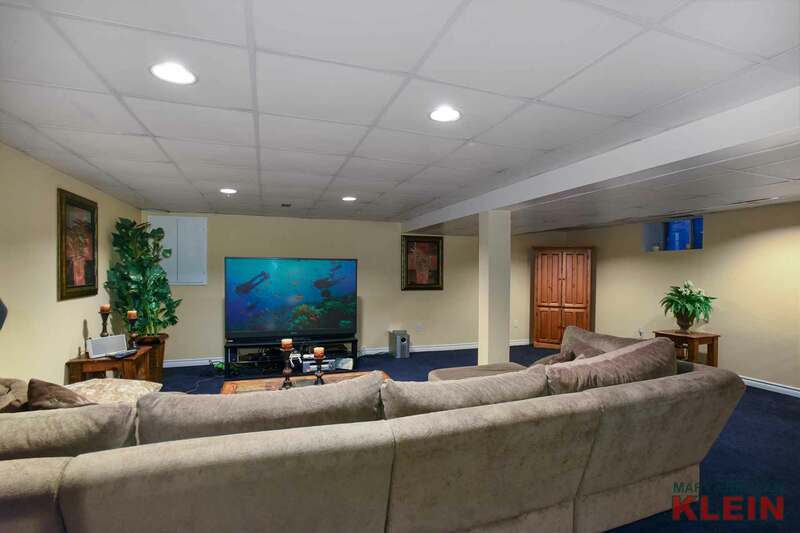 It’s a perfect “movie theatre” atmosphere, with darker carpeting, suspended ceiling with pot lighting, and a closet under the stairs. 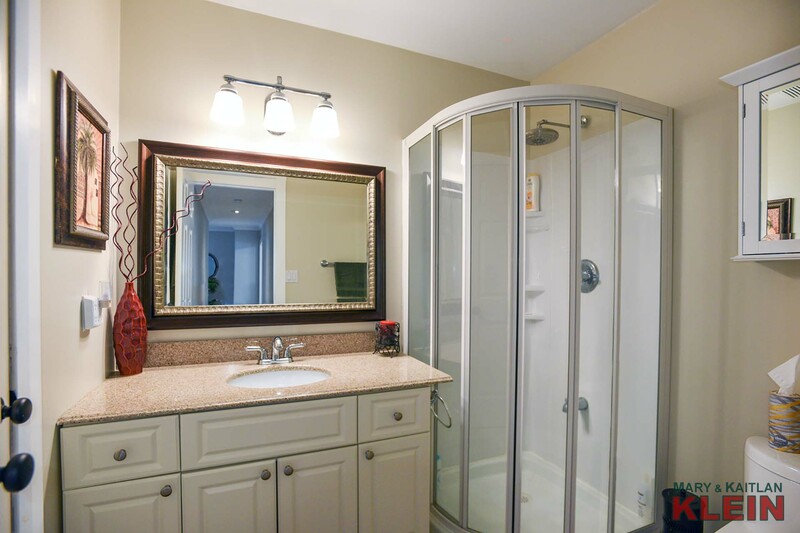 There is lots of storage, two utility room areas, plus a cold room which houses the hot water heater. Mechanicals and Construction: electric heat pump system for heating with 200 amp service; reverse osmosis on drinking water tap; ultra-violet water system; central vacuum system; 60-gallon water heater; new toilets throughout, kitchen renovation, board and batten exterior house painting, new countertop in laundry room, all in 2016; Premium roof shingles & 2 storage sheds, 2017; addition to back of house with fireplace & 2 level cedar deck, 16 x 8 foot Hydropool AquaTrainer swim spa, new garage man-door, all in 2018; stone chimney replaced in 2011; two sump pumps with 2 battery back-ups and alarm system; plywood sub-flooring and poured concrete foundation; ADT alarm system. 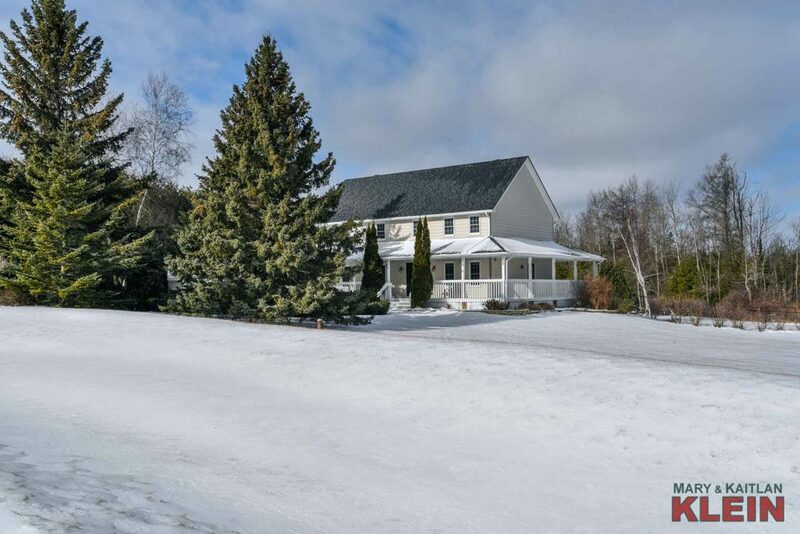 The home has a drilled well (front of property) and septic system & tile bed at the rear. 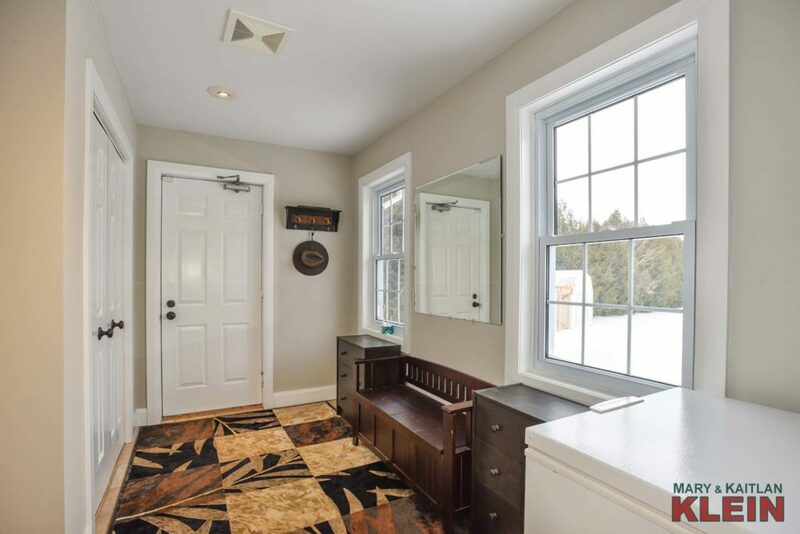 Vinyl windows were installed by previous owners around 2008. Included in the purchase price: all electric light fixtures & window coverings, 2 built-in ovens, built-in stove top & dishwasher, fridge, microwave, ultraviolet system, reverse osmosis system, water softener, water heater, 2 battery back-up systems for sump pump system, central vacuum system, fridge in laundry room, washer, dryer, 3 garage door openers, Hydropool swim spa, airtight woodstove in Muskoka Room. 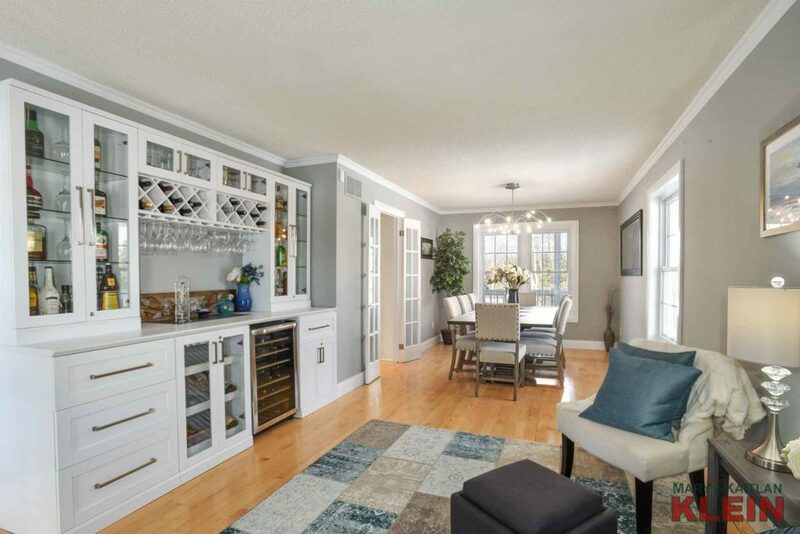 Exclusions: chest freezer in mud room, custom cabinet in Living Room with wine cooler. Lot frontage is 293.9 x 423.13 feet. The backyard is fenced but property goes into the back bush beyond fencing approximately 10-15 feet on easterly side. 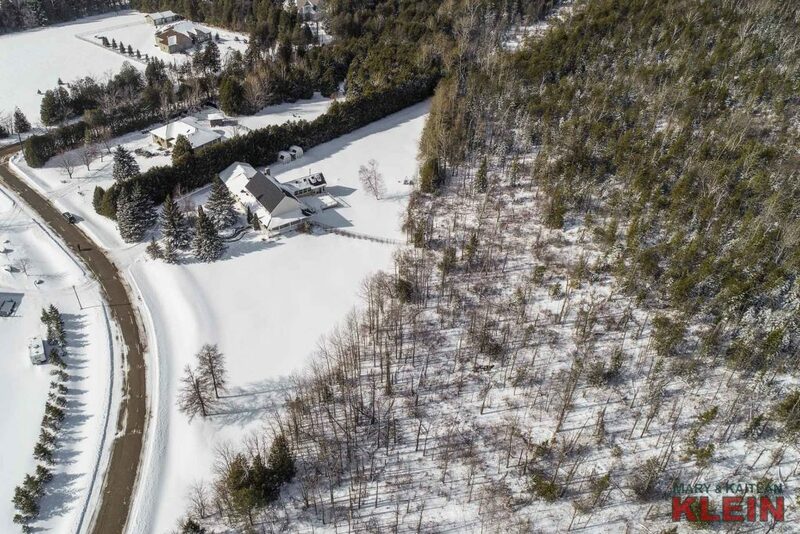 Property taxes for 2018, were $6,132. Heat/hydro approximately $375 per month. 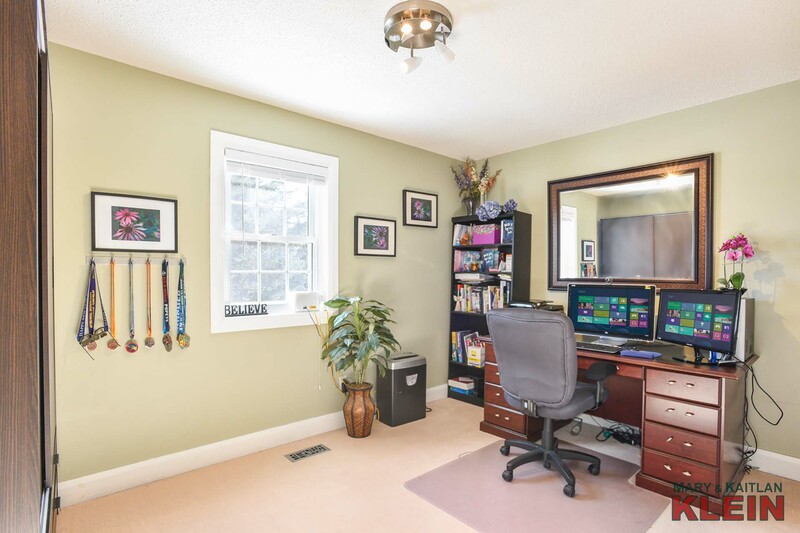 Internet is cellular modem from Bell.  Public schools for the area are Caledon Central Elementary (JK-8); and Mayfield Secondary. 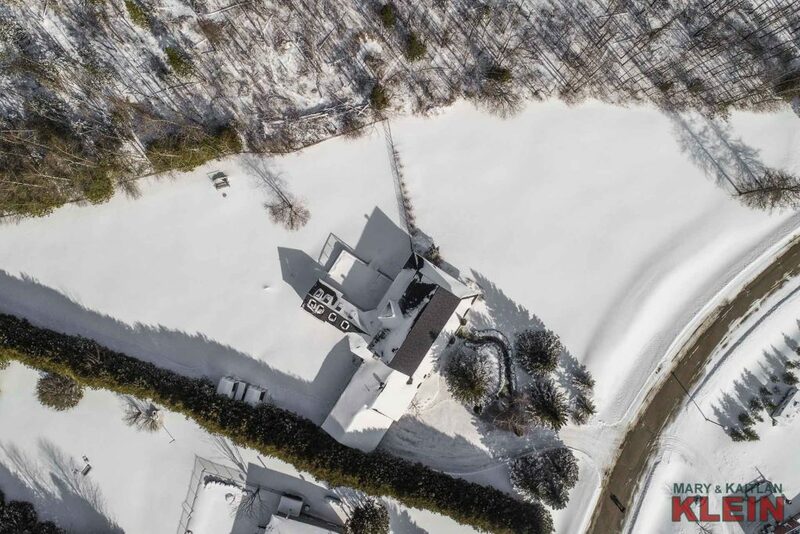 Catholic Schools are St. Peters in Orangeville & Robert F. Hall in Caledon East. 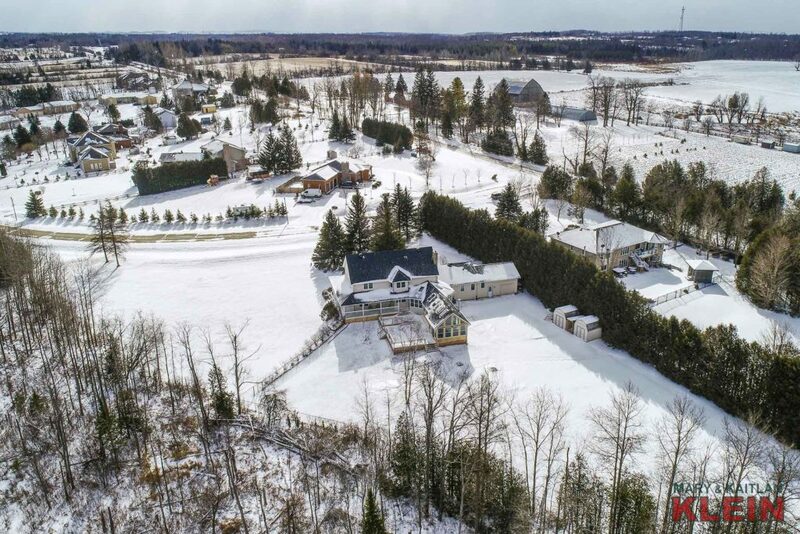 Children are bussed to and from school. 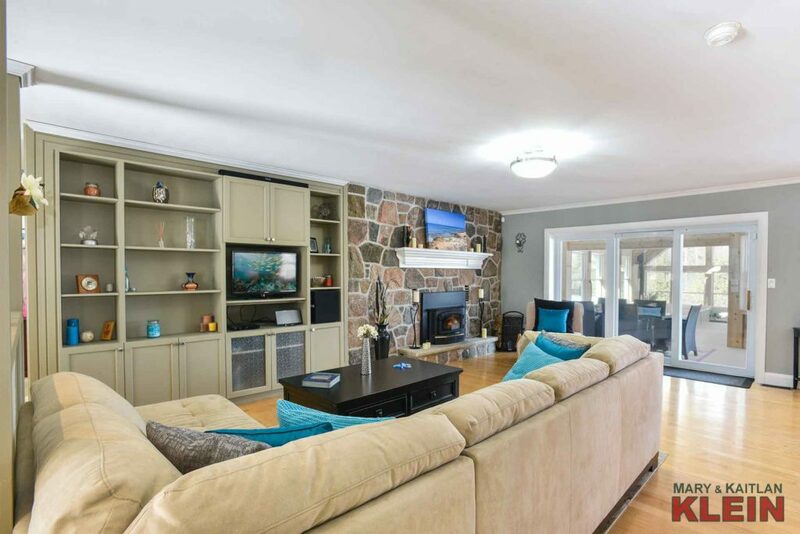 This home is located in the heart of Caledon on a quiet crescent with easy access to all shopping amenities in Orangeville, including Headwaters Healthcare Centre only five minutes away. 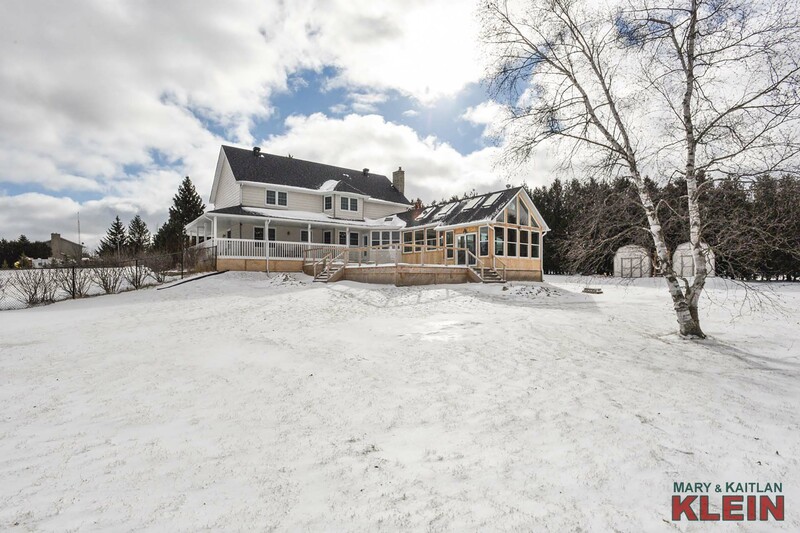 Ideal for commuters, there is paved road access to Highway 10 to the 410, and a 45-minute trip to Toronto. 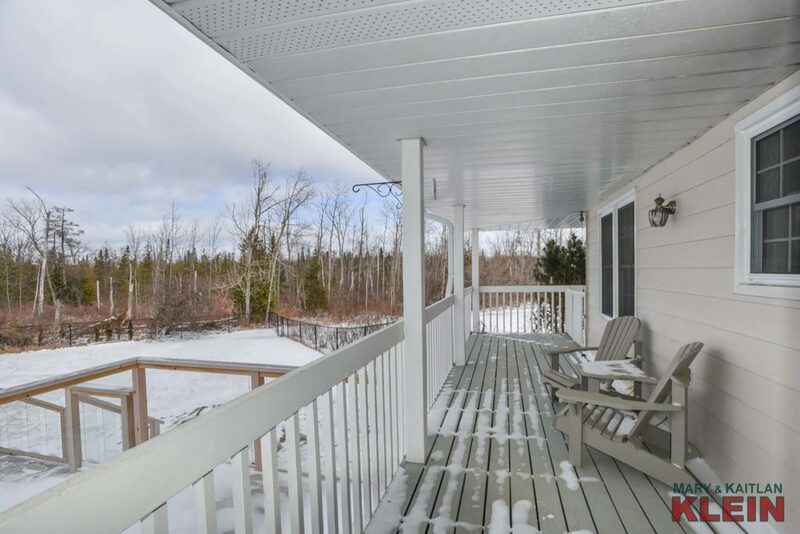 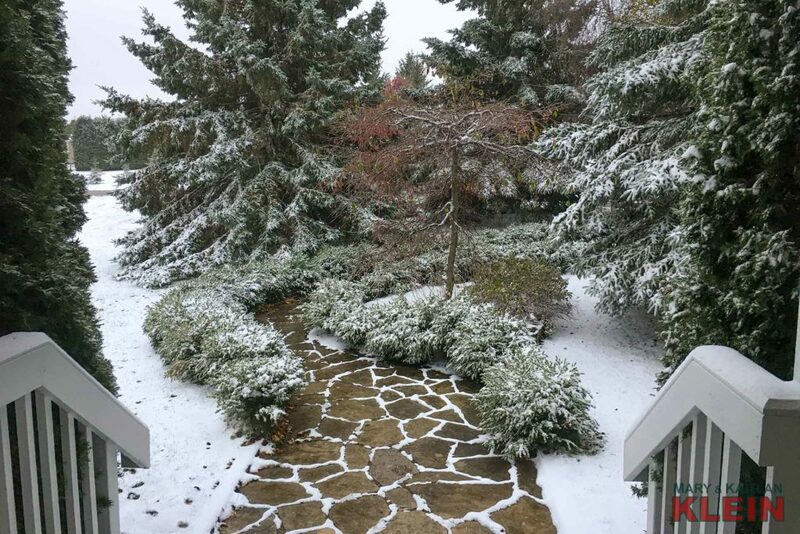 Golfing, hiking on the Caledon Trail, skiing – it’s all here awaiting your enjoyment! 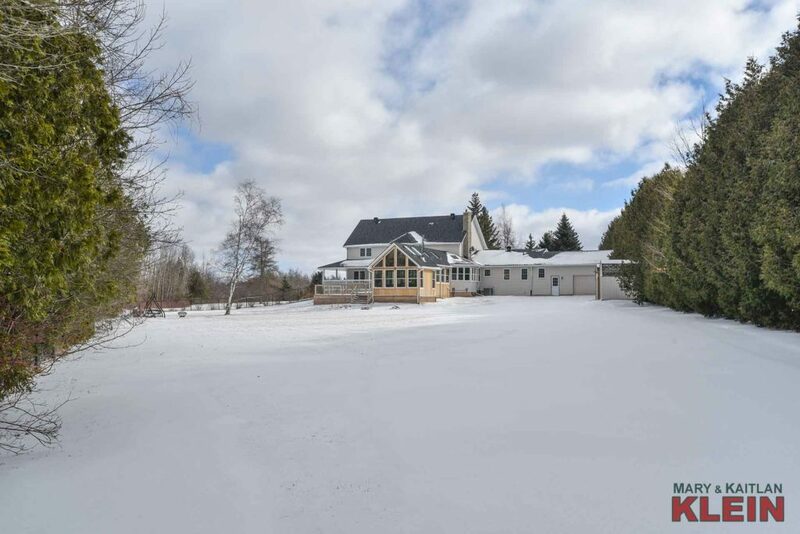 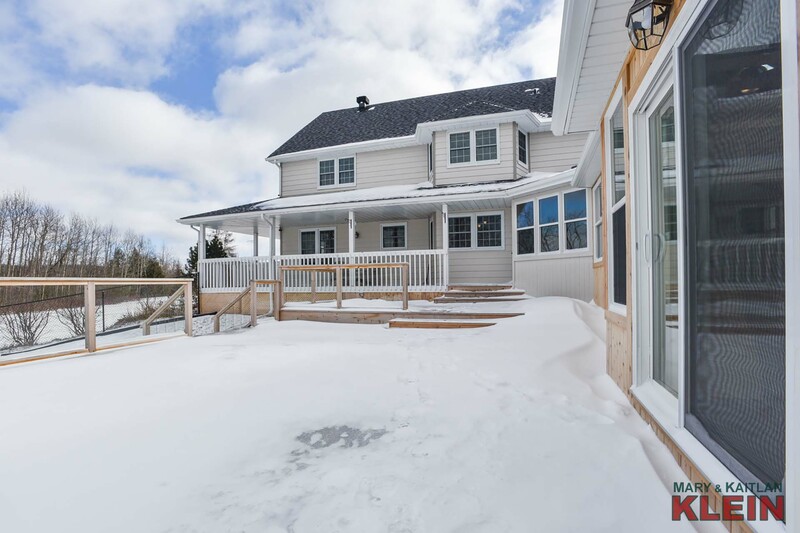 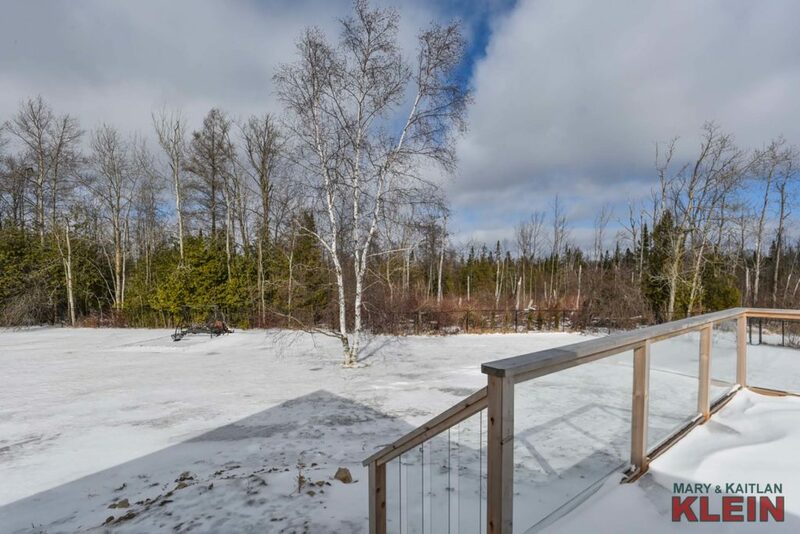 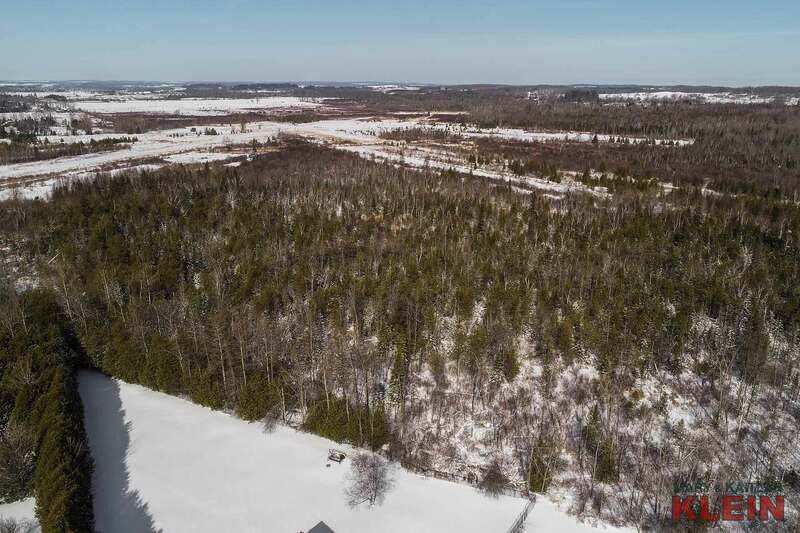 Do you Have a Question About This Property Located at 17 McConachie Drive, Caledon?